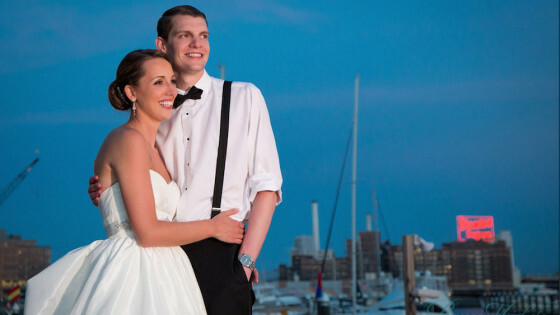 We sent DJ Jason out back in May to throw down for Jessica and Bobby at the Marriott Waterfront Baltimore. Adding a touch of champagne-colored uplighting warmed up the room. The party kicked up soon after the first dance, with all the guests packing on the dance floor. The party was so energized, that it even tired out some of the kids! Check out the photos from Reneé Michele Photography.